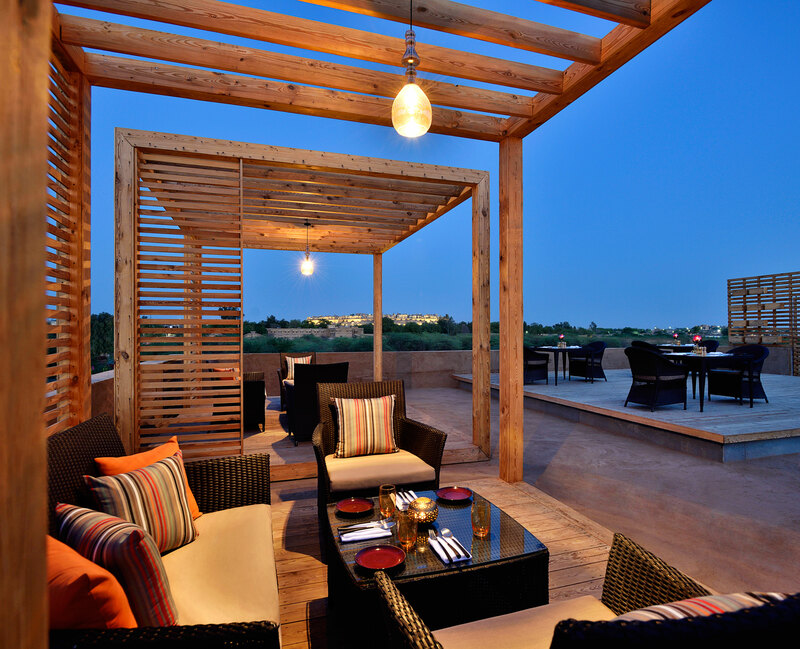 Immerse yourself in the grandeur of the Jaisalmer Marriott Resort & Spa. 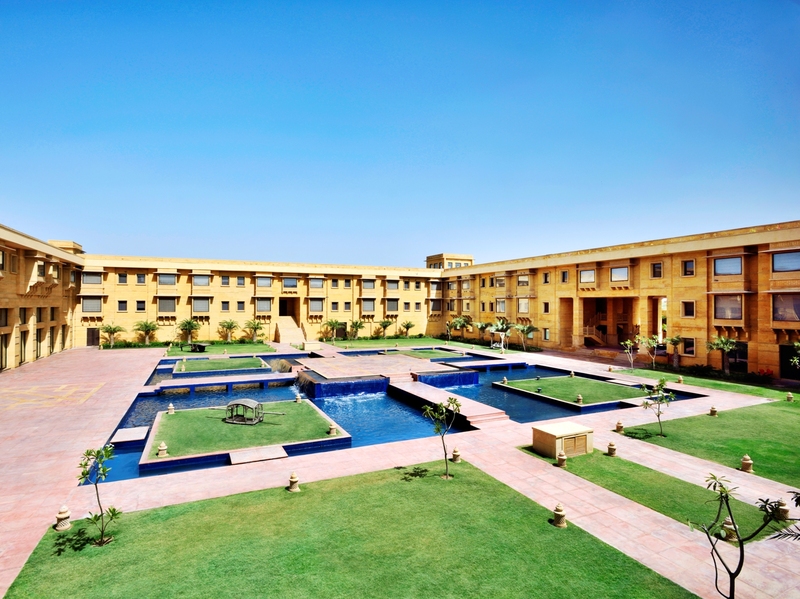 Located in the heart of India's splendid Golden City, overlooking the remarkable Jaisalmer Fort, our palace hotel showcases exquisite architecture, unparalleled amenities and world-class service. Find an oasis of calm in your beautifully designed room or suite, which boasts pillowtop bedding, a marble bathroom, a flat-screen TV and incredible views of Jaisalmer Fort. 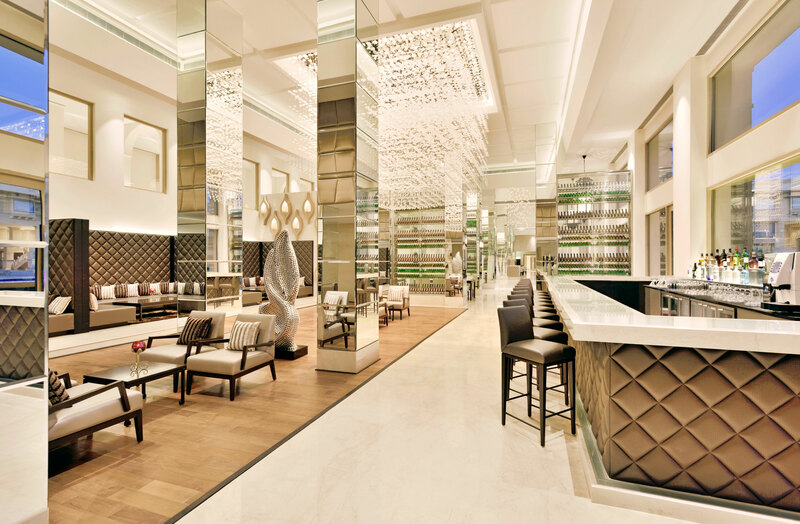 Visit one of our restaurants for flavorful cuisine, or work out in our modern fitness center. 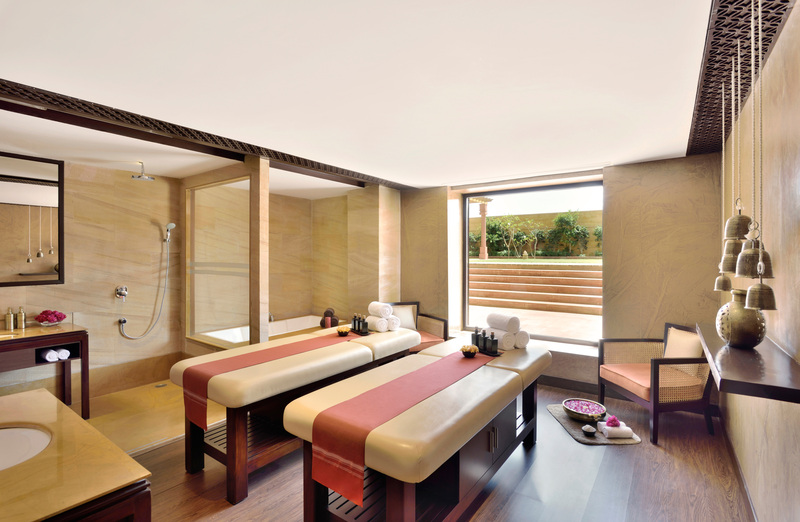 Quan Spa features luxurious treatments in a serene atmosphere, and our sparkling outdoor pool is the perfect place in which to spend a sunny afternoon. 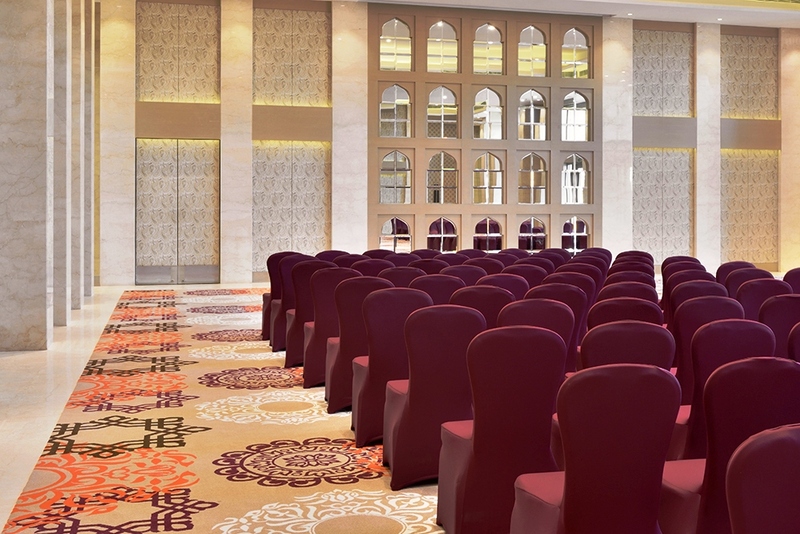 Those hosting events here at the hotel will be thrilled with our versatile venues, including 50,000 square feet of verdant lawn space. 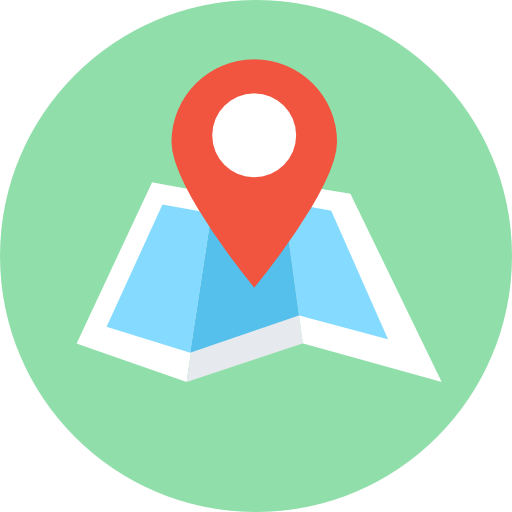 And our prime location facilitates exploration - from the dunes of the Great Indian Thar Desert to the impressive Patwon Ji ki Haveli. 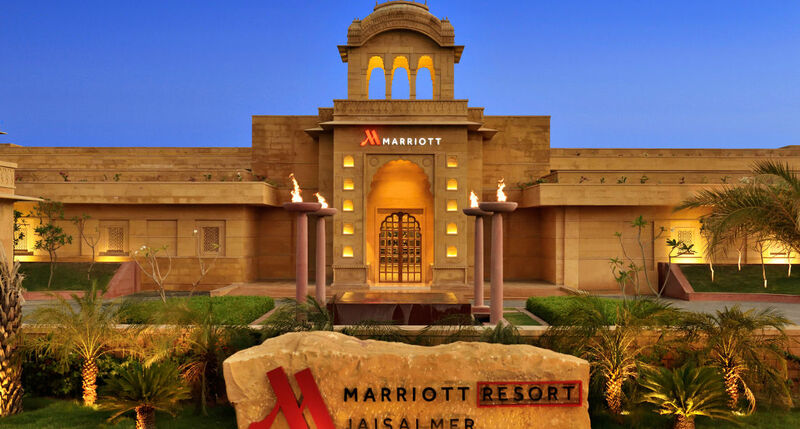 Make plans to experience the Jaisalmer Marriott Resort & Spa. 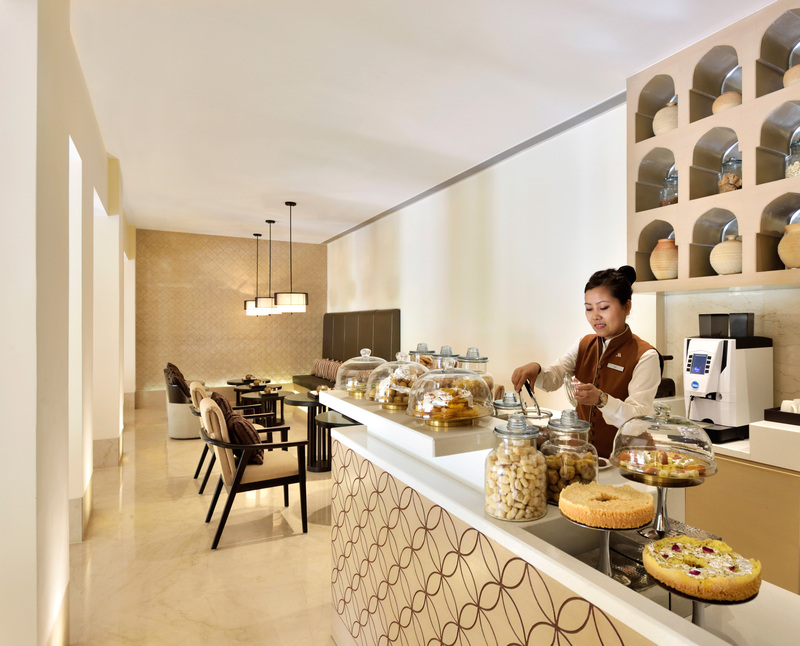 Jaisalmer Kitchen: All day dining restaurant Contemporary restaurant offering buffet options for breakfast, lunch and dinner as well as an a la carte menu. 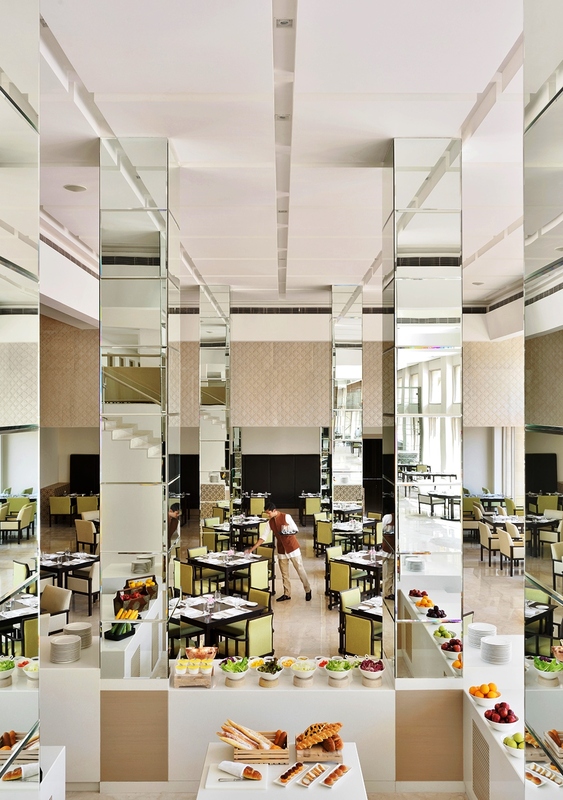 Featuring Indian and International cuisines. Dunes: Bar Relax and unwind with family and friends at this transitional bar offering a mix of fine cocktails and a commendable range of exclusive wines. The Mithai Company Nibble on traditional sweet & savories. Enjoy them along with our fine selection of artisanal teas and coffees. Set in Jaisalmer, 1.4 km from Jaisalmer Fort. The property is situated an 18-minute walk from Patwon Ki Haveli, 2.5 km from Lake Gadisar and 5 km from Bada Bagh.The nearest airport is Jaisalmer Airport, 14.9 km from the accommodation. Jaisalmer-Sam-Dhanana Road, Police Line Jaisalmer, 345001 India"